Nello Ferrara, the son of Salvatore Ferrara, created the famous Atomic Fire Ball in 1954. At this time in his life he had the idea to develop a spicy candy. When the product was presented to the candy industry, the capacity at Ferrara Pan was limited to 200 cases per day. Within three weeks of sending samples to Ferrara Pan brokers, orders were rolling in at a rate of over 50,000 cases per day, far beyond the capacity Ferrara Pan could handle at that time. The Atomic Fireball gained world-wide recognition shortly after the product was introduced. The round, spicy, hard candy that was once a dream, had become a success. An estimated 15 million fireballs are consumed per week by people all over the world and the number continues to grow. Growing up, we had a small store in our town that sold lots of different kinds of candy. As a small child, my parents used to drive to this store and allow my siblings and I to pick out some candies of our choice. 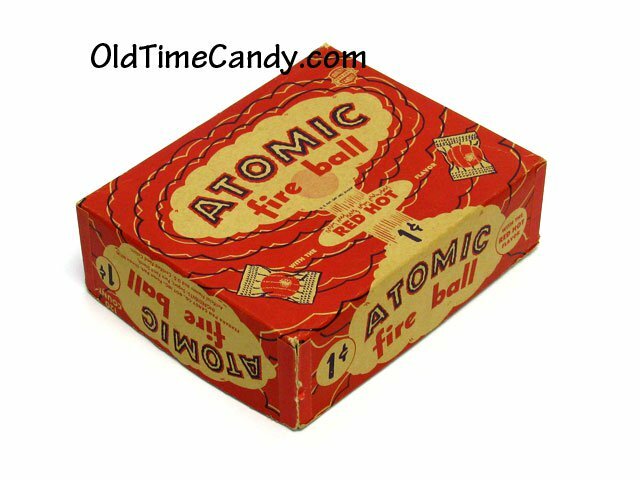 I would grab a handful of Atomic Fireballs as part of my candy stash. I vividly remember how hot an Atomic Fireball felt after only a couple of seconds in my mouth. It did not take long until I could not stand the burning feeling on my tongue anymore, so I would have to take the Fireball out of my mouth and wait several seconds, then put the Fireball back in my mouth. Of course, my tongue would feel hot again, so the process would start all over of taking the Fireball out of my mouth and waiting for my tongue to stop burning before putting the Fireball back in my mouth again!